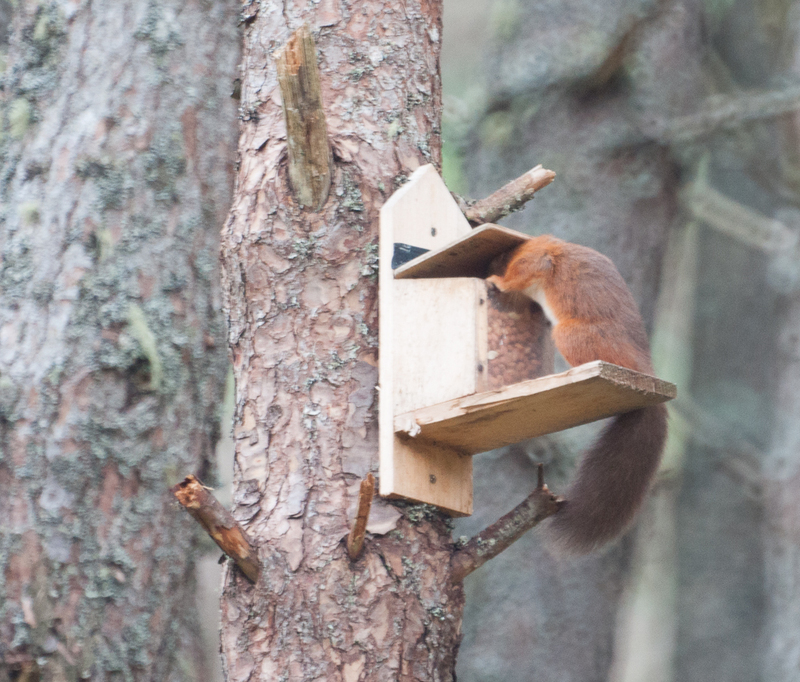 We had the first chance of a proper look at one of our squirrels today. 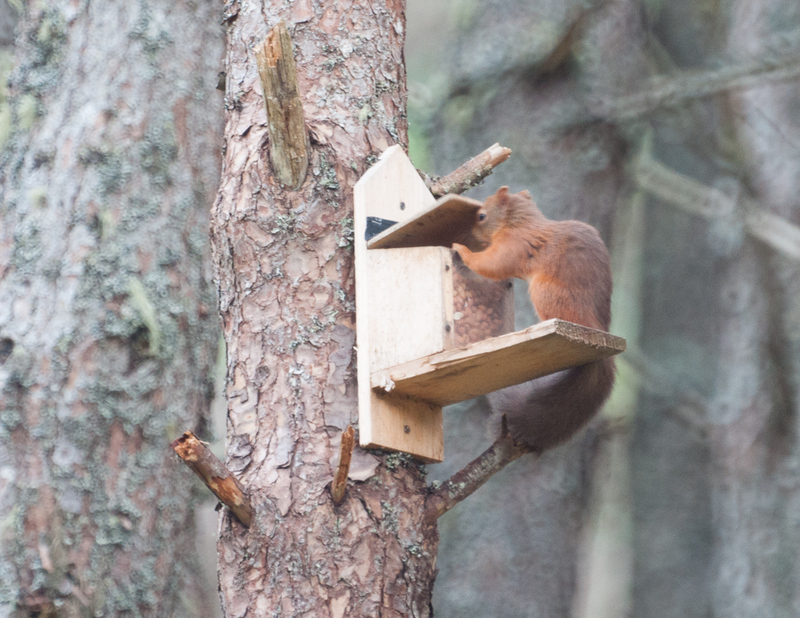 We were going to top up the peanuts but as we approached the feeding station one of the feeders was already occupied. He (or she, it’s impossible to tell) seemed very relaxed and we watched him feed for about ten minutes. UPDATE: A squirrel expert tells me that the dark tail suggests that this is a young squirrel, born since the squirrels arrived at Croick. That’s great news! 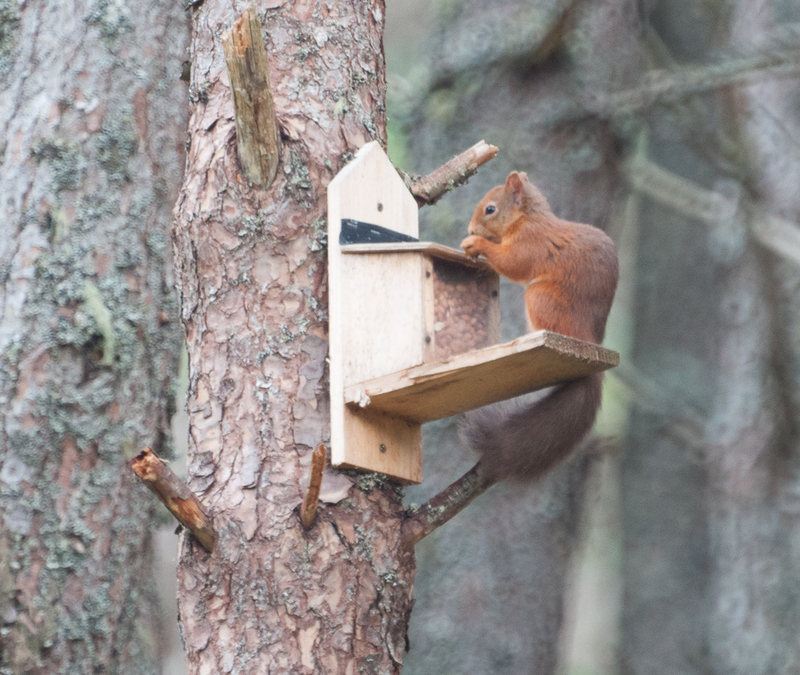 This entry was posted in Uncategorized and tagged Croick Estate, Photography, photos, red squirrels, Scottish Highlands. Bookmark the permalink.